The Finnish capital Helsinki is a modern cultural city which, throughout 450 years of history, has existed in the crosscurrents of the East and West. The colourful layers of history can be seen everywhere; a walking tour of the city center or of the magnificent Suomenlinna Maritime Fortress will open your eyes to a fascinating past. 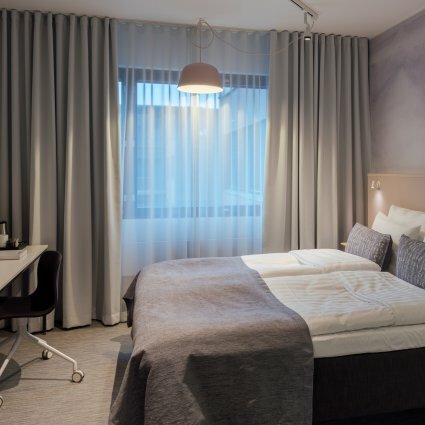 Our preferred category SILVER hotel in Helsinki is the Original Sokos Hotel Presidentti, which is centrally located close to the railway station and many of the city's attractions. If this hotel is fully booked we will find an alternative of equal standard (although the hotels might differ in style). Scandinavian breakfast buffet is included.